The Supreme Court of Venezuela will ask the Constitutional Assembly of the Republic to remove from the leader of the pro-American opposition, Juan Guaido, the immunity of deputies "for non-compliance with court decisions." The formal pretext is the latest violation of the ban on leaving the country. In fact, the court chairman Michael Moreno intends to launch the process in order to get rid of the ambiguity that continues for several months in a country in which there are two presidents - the lawful one and the impostor. Two investigations are currently underway against Guaido. 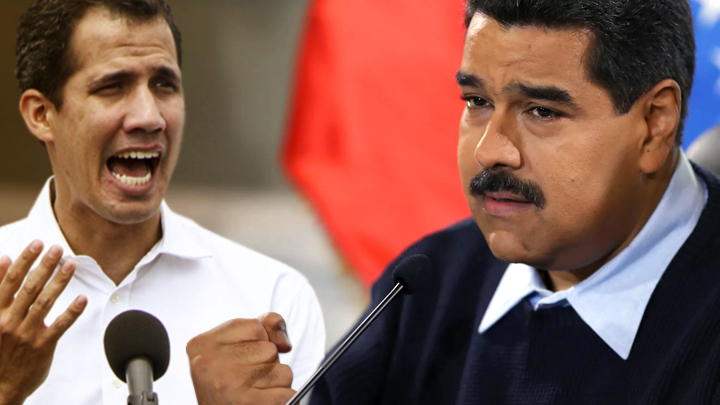 In late March, Elvis Amoroso, head of the General Control Directorate of Venezuela, with his decree removed the President-Impostor from the post of the head of parliament and prohibited him from holding public office for 15 years. Amoroso believes that Guaido "took over state duties that were not meant for him, and, acting together with foreign governments, caused damage to the Venezuelan people." The impostor is also, according to Amoroso, involved in corrupt activities. In response, Guaido said that the decree issued by the country's chief auditor “is not valid”, and called on his supporters to come up with new demonstrations against water supply problems and ongoing power outages, which occur on a large scale solely because of the sabotage of those supports it. However, the oppositionists will “protest and make demands” against the authorities of the country that is a victim of a hybrid war from the Americans who are so dear to their hearts and desired by their wallet. There is another profanation of the Venezuelan government. On April 6, Guaido “appointed” the conduct of Operation Freedom, aimed at overthrowing the Maduro regime. Thus, at present, there are actually two presidents in the country — a legitimate and an impostor who behaves with the support of the United States as a real president and creates a parallel center of power, to the side of which, with the help of Americans, he intends to lure the loyal constitution and oath to the armed forces. At the same time, the bitter hybrid war that Washington is waging against Venezuela, and in fact, pursues the goal of bringing his protege to power. That is, it can be said that Guaido’s ambitions are the cause of the torment of millions of Venezuelans constantly suffering from the absence of light and water, who previously suffered only from the incompetence of the regime. And such a person walks free, holds rallies, freely leaves and enters the country, signs false decrees dictated by his American curators. It was possible to tolerate such a thing for some time, so that Caracas could look around, understand what could happen and how best to act. Finally, in order not to provoke a US invasion, do not give Washington a reason. However, since such an invasion is not expected in the near future, and the patience of the people and the army is not unlimited, for Maduro it is time to restore order in the country. This can be achieved in two ways. First, to make the government viable, to attract smart and energetic people into it. Secondly (and this is the most important thing at the moment), to prove to everyone that the real power is him and his regime. All this now seems to be happening. Maduro appointed Minister of Energy, as well as the head of the national energy company Corpoelec Igor Gaviria, as his predecessor clearly could not cope with his duties. In addition, the president decided to restore the Ministry of Science and Technology of Venezuela "and give him a complete blank check on the study of cybernetic and electromagnetic attacks in order to win the energy war." The new department will be headed by Professor Freddie Brito. Similar processes are reportedly taking place in other departments, which must work in a new way under the conditions created. The Maduro regime must quickly become smarter; otherwise, even with external support from Russia, China and a number of other countries, it simply cannot resist. How will the US act? In the hybrid war that Washington launched against Venezuela, the focus is on economic suffocation, mass protests of people brought to the despair by Americans and special operations like sabotage on the country's energy facilities. But the main front is economic. This was confirmed by US Special Representative for Venezuela Elliott Abrams, who claimed on CNN that the legitimate president of Venezuela would be removed from power in less than a year. The official promised that the United States would continue to impose sanctions on Venezuela, on whose oil resources the Americans intend to impose their paw, as they have already done in relation to the several tens of billions of dollars that Venezuela kept in Western banks. All this will undoubtedly be implemented, which places even higher demands on the quality and effectiveness of the Venezuelan government. Thus, the denouement to the “dual power” in Venezuela seems to be close. To tolerate the openly carried out subversive activities of the American puppet Guaido, to which the Venezuelan authorities have come close, is no longer possible. Several members of his entourage are already behind bars. However, Maduro must hurry. The Bolivarian Republic of Venezuela will not sustain the two presidents. Who wantes to Kill Maduro?